When you trade in online Forex, you need to read the Forex quotes, which are how the currencies are written. In every Forex transaction the trader, two currencies are simultaneously bought and sold. These two currencies are called the currency pair. 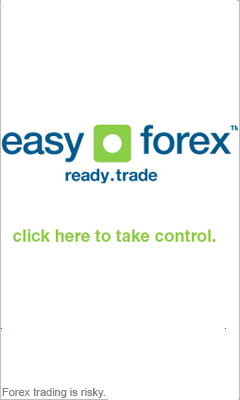 There is no option to make Forex orders without knowing how to read the Forex quotes. This is what we'll try to explain to you in this page. Base Currency - This is the currency that appears to the left of the slash. In this example this is the EUR. Quote Currency - This is the currency to the right, the USD in the example. The online Forex quote contains two numbers. The first, the one to the left of the slash (1.2566 in the example), is the bid price, this is the trader's selling price. The second number, contains only the last two digits to symbolize the entire ask price, the price that the trader buys the Forex currency in. In the example, this price is 1.2569. Forex quotes are easily understood. Understanding how to read them is perhaps the most basic of online Forex trading. Each second the value of the Forex quotes is changed, according to the exchange rates, so it is important to stay updated with the latest online Forex news.